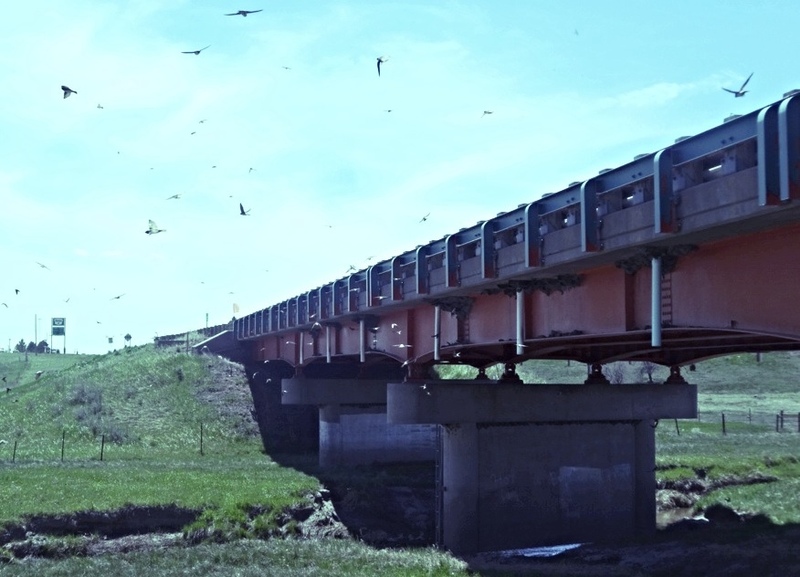 Riding the long, laborious and straight route 85 was indeed just that: laborious, long and terribly straightforward. 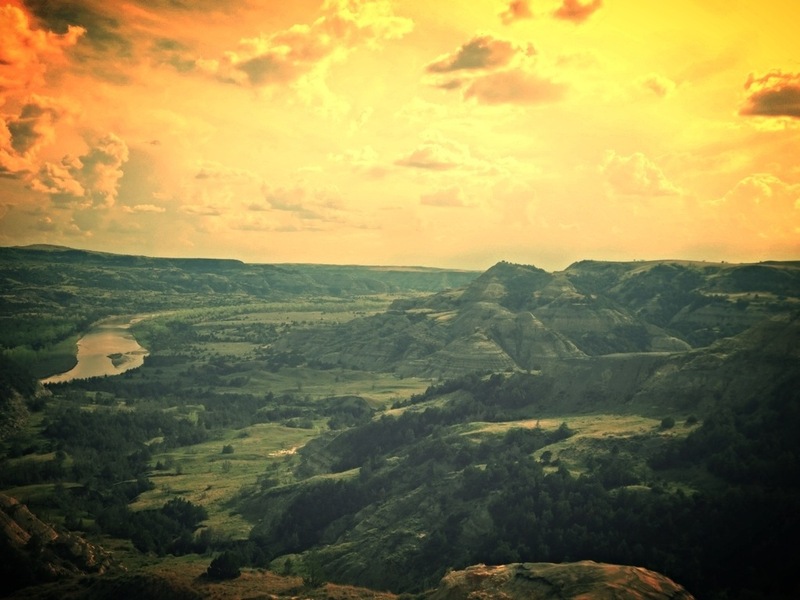 However, I was heading to North Dakota and intriguingly, part of the USA where I had not planned on exploring. 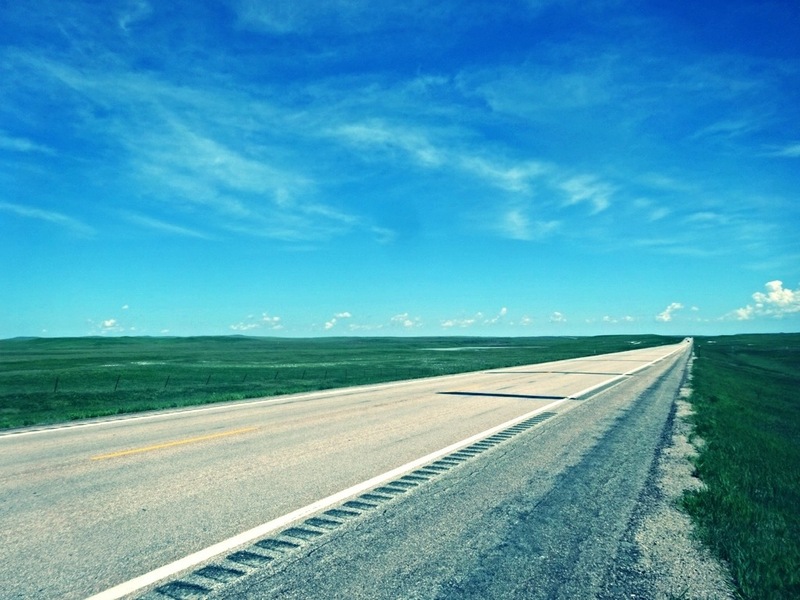 On route, the highway was surrounded by flat, lush grassland, all the way to the horizon at this time of delayed spring. There was one rest bite, where breakfast was required. 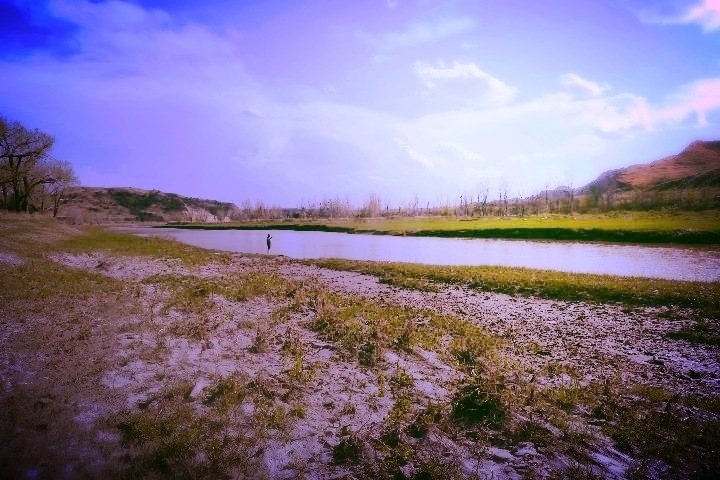 The spot was just a few hundred feet from a small river and it was quite impossible to miss noticing that swallows had been busy birds, making sweet, oh so sweet love during the winter, for there were swarms of them filling the skies around the river’s bridge. Humans aren’t the only creatures to cuddle up with a few whiskeys and make babies when it gets cold. Pulling off onto I94 and into the Painted Canyon, I took in the views which are extremely similar to, but much larger than Badlands. However, a few hundred miles north, and these badlands were covered in spotted camouflaged. Mother Nature had reached into her paint pot and splattered greens, reds and yellows all over the northern, muddy peaks. Blown away by the scale and also in the knowledge that with a land that shoulders so much variety; greenly decorated bushes and variable shrubs, songful birds and clearly rivers which run, submerged into the chasms of the deeply cut, gritty stacks: This “Badlands” was alive. 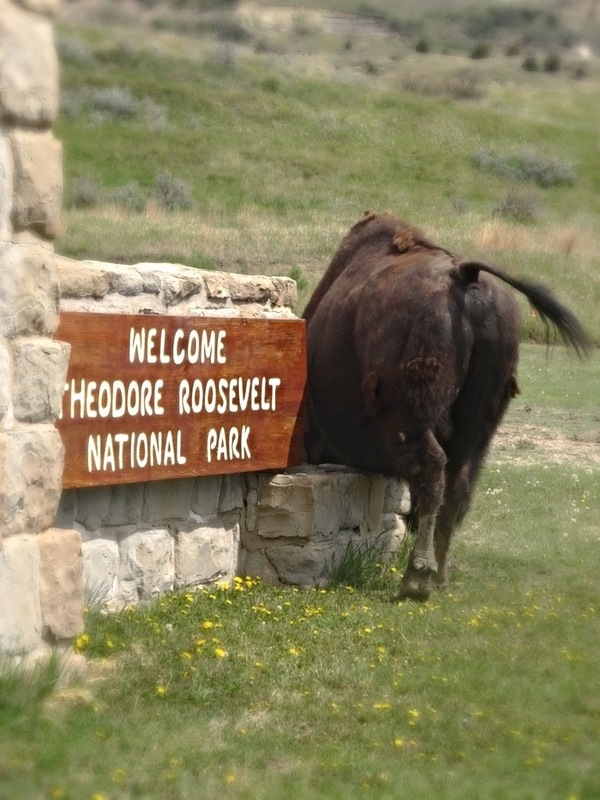 At Modena, I found the southern entrance to Theodore Roosevelt National Park. 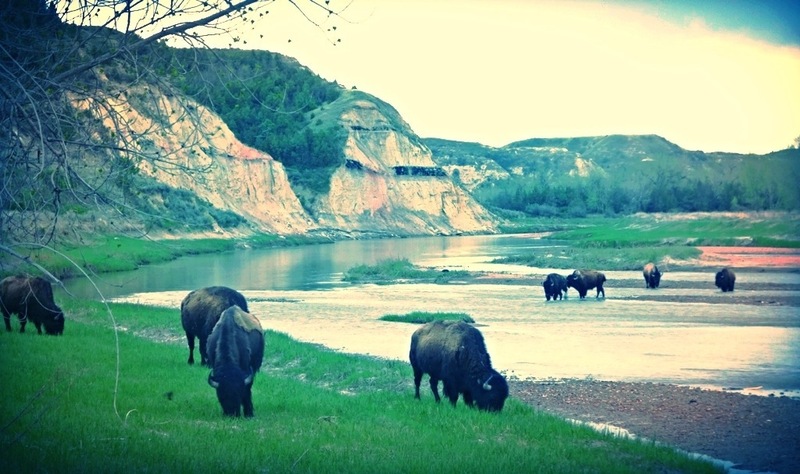 The park stretches over 80 miles from north to south, with The Little Missouri River running through it, south to north. 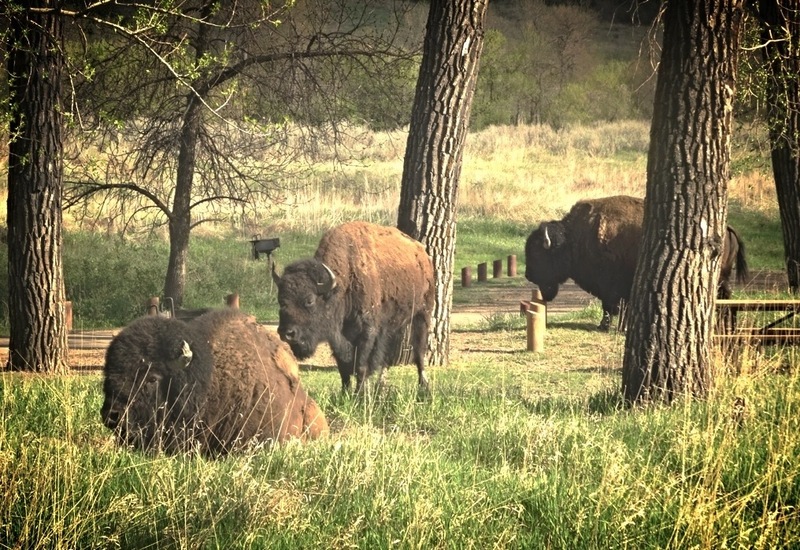 Socialising bison roam, and I also found that they love to barbecue and camp; rubbing and gruffling their way through the popular areas at early sunrise. It was at approximately 5am when the big boys decided it was time to let everyone know that they were awake, and very ready for a stretch, a good scrub down against the trees, and of course, some breakfast. Impossible to enjoy nature while your throat constantly explodes, you cough every twelve seconds and you’re itching repeatedly because you have been a test site for a spider with eager fangs; I sipped hot tea to sooth the sinuses, covered my arm in “anti-hysteric” cream and I tried to quietly watch the hairy chaps, nonchalantly amble through camp. Agreeably, I have been overjoyed to not be seriously ill at all on my trip so far, but a chesty cough and drizzling nostrils are not the best ailments to harbour, when attempting to spot wildlife during a peaceful sunrise. The scenic drive around the south end of the park was verbally, a political one. Sporadically distracted by the wonders of our environment, KP and I discussed the merits and pitfalls of our separate nations’ health care systems of which we have both had experience with. To avoid titanically mounting a bureaucratic horse, I have concluded two things: Both systems are arguably imperfect and neither system provides healthcare. Health is what we strive for, prior to needing medicine. It’s what we do, what we eat, how we behave and how positively we interact with our environment. Neither system gives this to us, and neither system should have to. Medical care is needed when our health fails or if we have chosen to interacted negatively. Even though both countries conveniently frame their system, neither system offers “health”. It would be naive to rely upon either system to provide health or to ultimately “fix” the ongoing health of an individual. The system that we must implement ourselves is ultimately more important than the medical system that many rely on and I think the pitfalls of both the UK and the American medical care institutions, would be less of an issue if we all understood this. While camping on the Little Missouri in the northern section of the park, the over night electrical storm decimated parts of the river bank. Some campers were reluctantly encouraged by the weather to abandon their tents and seek refuge in their cars, as well as in the shelter of the drop toilet. I can’t comment on whether the storm was an actual catalyst for actually ushering through any defecation. Initially thinking the north section of the park was possibly just another area similar to the south, and unfortunately more open to the elements, I was pleasantly surprised and impressed when exploration began. 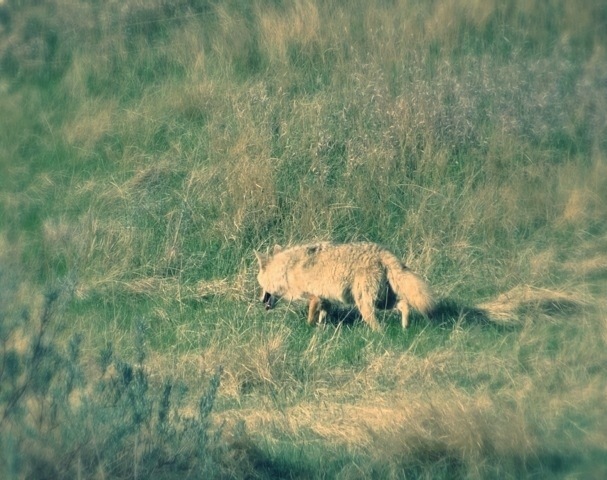 On a stroll onto a grassy meadow, my eye was taken by a wandering coyote. Much closer than the first couple I had seen, it paraded right past me, only 30ft away. Thinking this was going to be the highlight of the trail, the view over the valley completely stole my breath. The majestic cliffs and rocks, the beautiful formation of various ancient lands and the fossilised wood sticking out of the multi-coloured earth layers simply wouldn’t fit into a single panoramic, least one that would do it justice. The lookouts begged to be described, but the view simply left me speechless. 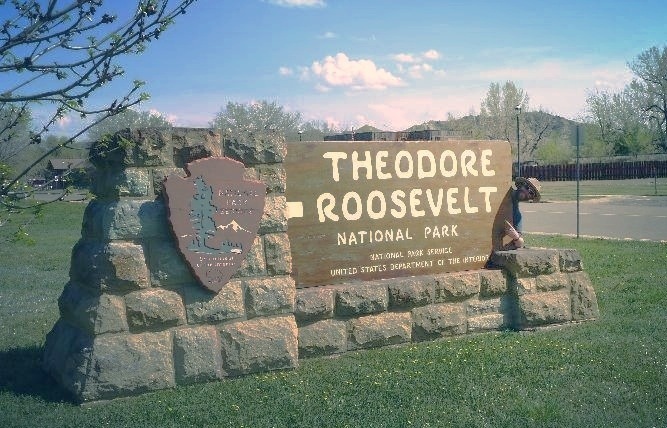 Theodore Roosevelt National Park is a completely awe inspiring place and I had never prepared to visit it on my planned route. Thoroughly inspired to see things that I had not proposed to, next on that list, would be one of only two places on the planet that I have craved to experience for the last twenty years. A boyhood dream was about to come true. 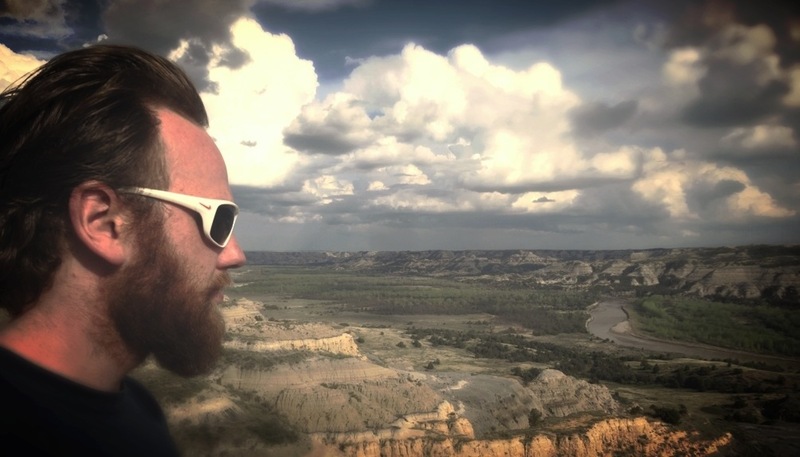 This entry was posted on June 29, 2014 by winstonwolfrider in USA on $6 a day and tagged adventure, badlands, bison, Camping, Conservation, coyote, environment, explore, Health, hiking, medicine, Missouri, National park, North Dakota, scenic, Theodore Roosevelt, USA.